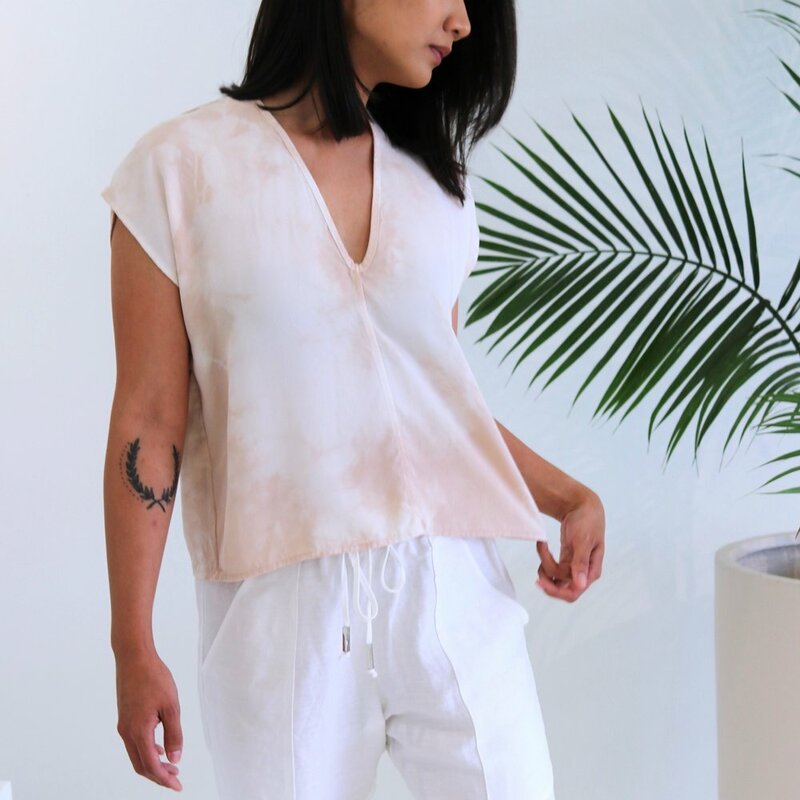 Silk, cupro, tencel, & linen, oh my! Getting to dye these stunning garments designed & created here in Nashville by Natalie Busby; a Boston transplant who just recently opened her namesake brick + mortar store front earlier this summer. Natalie’s designs are thoughtful, timeless, yet with a modern twist. Her collections are created in small runs to illuminate waste while focusing on the incorporation of natural and sustainable textiles. Together, we created a limited run of red onion skin & avocado pit dyed garments for SUMMER ‘18. Currently, we are dreaming up & creating test swatches of yummy colors for the holiday season! Check out more words on our collaboration here. If you’re in Nashville, you can visit Natalie’s storefront on the east side; located off Gallatin Ave. (on corner of Stratton Ave.) next to Local Honey East. Stay tuned for more updates on our future collections!